If you’re buying a new home or want to inspect your current property, it is important to look for mold. One effective way to do so is through a mold test. Because mold consists of spores that travel through the air, it can spread quickly. Additionally, mold creates mycotoxins, which are dangerous organisms that attack the immune system and jeopardize health. 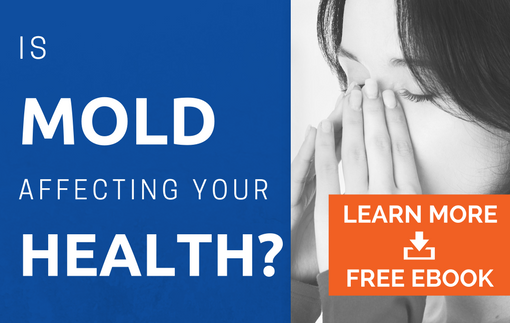 Given the dangerous effects mold can have on your wellbeing, it is important to be aware of whether it is in your home or business. While some mold signs are obvious to spot, like when you see black spots on your wall, others are more difficult to trace. If your space starts smelling musty or you unexpectedly experience any of the symptoms listed above, it’s important to check your property for mold. If you believe you have a mold problem in your commercial or residential property, call our highly-trained specialists at AdvantaClean. We conduct comprehensive mold testing to locate the exact location of the fungal colonies and the cause of its growth. Additionally, we create customized solutions to address the issue. Air Samples – Because mold spores travel through the air, one common testing method we use is the “spore trap.” This involves passing air through a sticky surface. Our specialists send the samples to a laboratory, where they monitor the mold growth and identify the type. Surface Samples – With surface samples, we skim the surface of the supposed mold area and send in the samples to the lab. Experts analyze the samples to send conclusive reports. Want to know for certain if you have mold on your property? Contact our specialists by calling (877) 800-2382. We’re going to be honest with you and tell you something other companies would not – you don’t always need mold testing done. If you see physical signs of mold, such as black spots on your walls or floor, you can simply call our mold specialists for fast removal services. Our team of highly trained professionals use cutting edge technology and non-invasive methods to accurately locate mold and can help determine the cause of it. We treat each client the same way we would want to be treated – with respect, courtesy, and honesty. By prioritizing customer connection over making a quick profit, we go above and beyond to exceed expectations. When Should You Consider Mold Testing? It’s important to know that mold is everywhere in your home. They are minuscule, sporous fungi that lie dormant around a property. It’s only in damp, warm areas where the usually dormant spores activate. If left untreated, the bacterial colonies can grow and spread. That is why if you notice signs of mold growth, it is important you contact our specialists immediately. Reach out to AdvantaClean for accurate mold testing and comprehensive mold removal. Call (877) 800-2382 today.